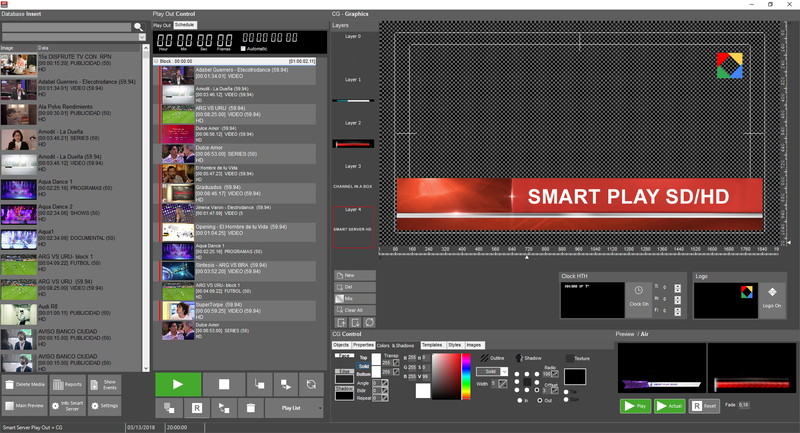 SMART PLAY SD/HD is a CHANNEL IN A BOX Video Server which integrates PLAY OUT, recording and multilayer character generation (Alpha Channel mix). Due to its modern structure SMART PLAY HD is the ideal equipment for automation or live work since it incorporates a set of next generation technologies, achieving total control of different types of multiformat content. Supports AVI, MOV and MPG. 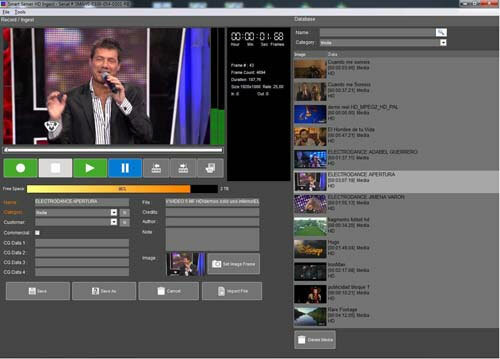 Multiple selectable compression formats: 1080P, 1080i, 720p, Frames 23.98 / 24 / 48 / 50 / 59.94 / 60, MPEG 2 (ISO/IEC 13818-2) (VBR, CBR) hasta 80 Mbps, WMV HD, DVCPRO HD. Multiple clips over the same video. 3 graphic layers with Alpha Channel Mixing. 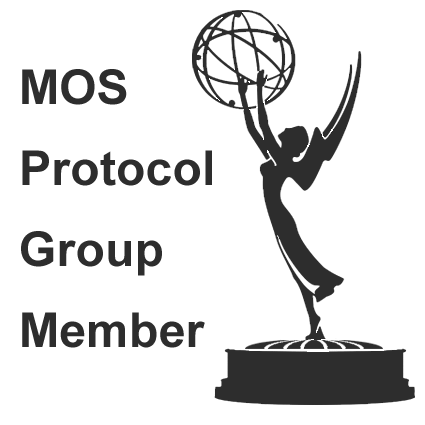 Branding, roll, crawl video, TGA series or Lower Third. AVI, MOV and MPG compatible.